I have this image of those of us who naturally dye cloth, rubbing our hands with glee as we dance and cackle around our cauldrons (at least I’ve been known to do that a time or two! ) 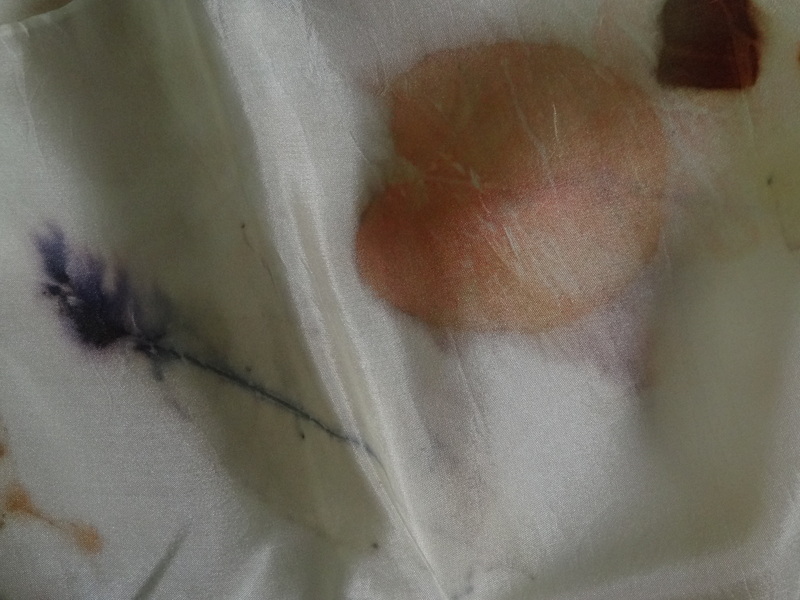 when our unique individual forms of alchemy change color on cloth. Ever since I learned about using calcium carbonate (a Tums tablet) from Dana of Raven and Sparrow, I’ve been changing the deep purple of desert willow blossoms to blue. Thanks for telling about baking soda Patrica. 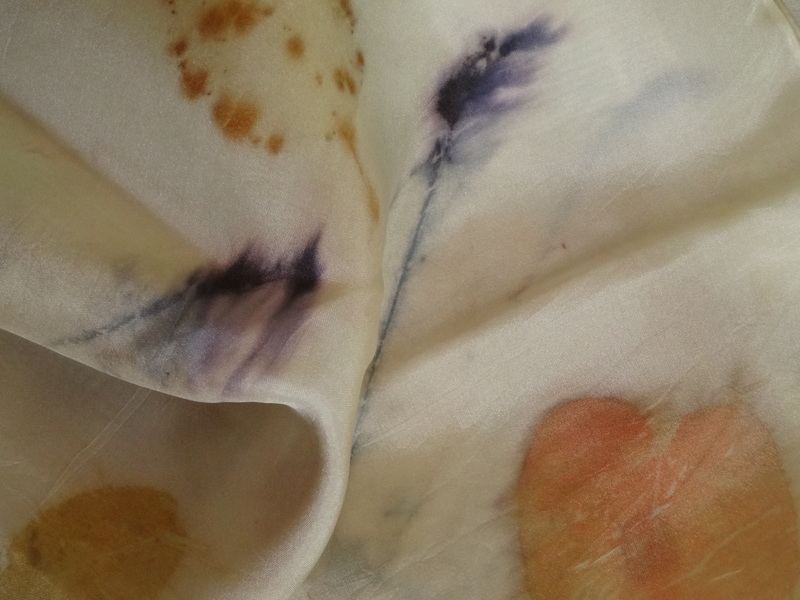 Long ago, when I first started dyeing cloth and I didn’t know all that much about mordants, I tried to use baking soda…are you finding that the color changes are holding using the baking soda? after i dip in baking soda i usually put everything through the washer. maybe if i redipped in vinegar something else would happen. i’ll try that and let you know! I love the blues! Sooo Beautiful! 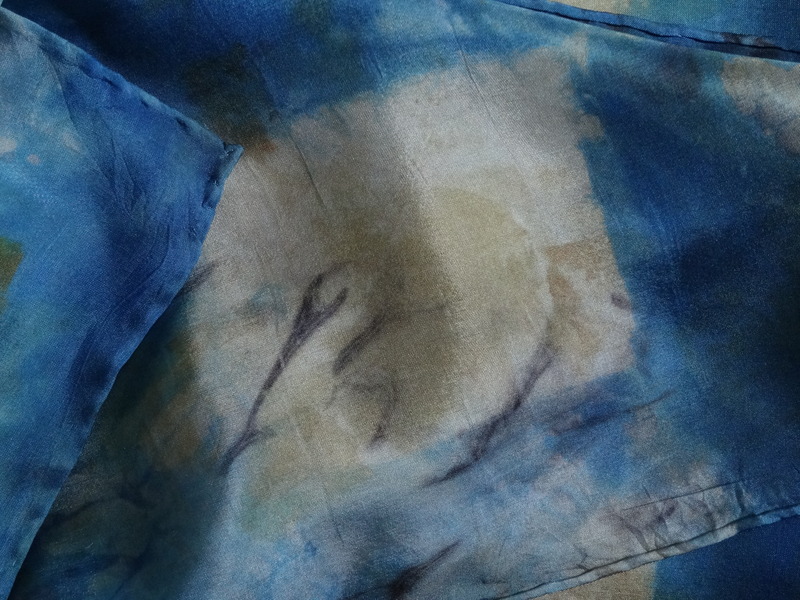 and the indigo has saved a lot of scarves that were just so-so. glad you like it! do you have a 1 2 3 Vat then? What gorgeous results! 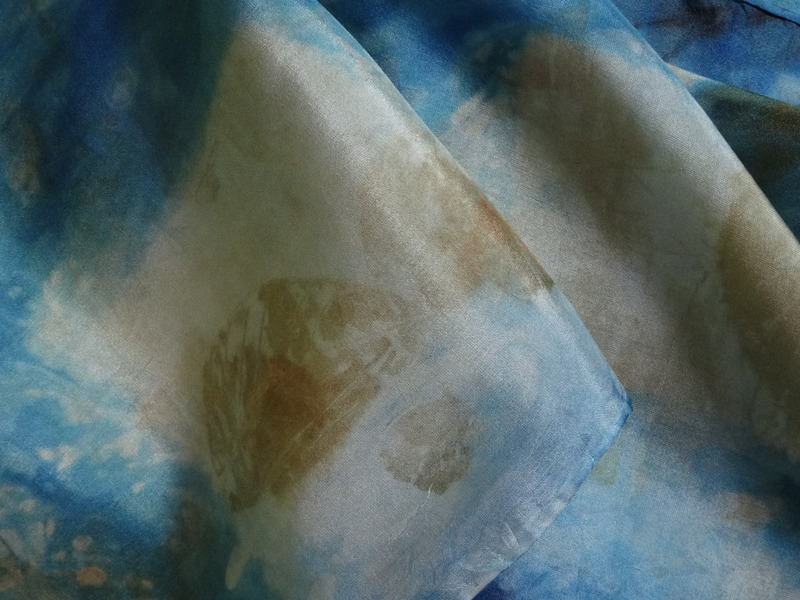 Your blues are so clear and the watery leaf prints just make my heart sing. the leaf prints–yes they make my heart sing as well. especially the eucalyptus leaf which i discovered needs to be boiled before it will imprint. How did I miss this post? Well, better late than never when I get to see marks like these! That last pic just sings and soars! Beautiful.